Chill the can of coconut milk in the fridge overnight, the brand I use is 100% coconut, no additives, preservatives or stabilizers. 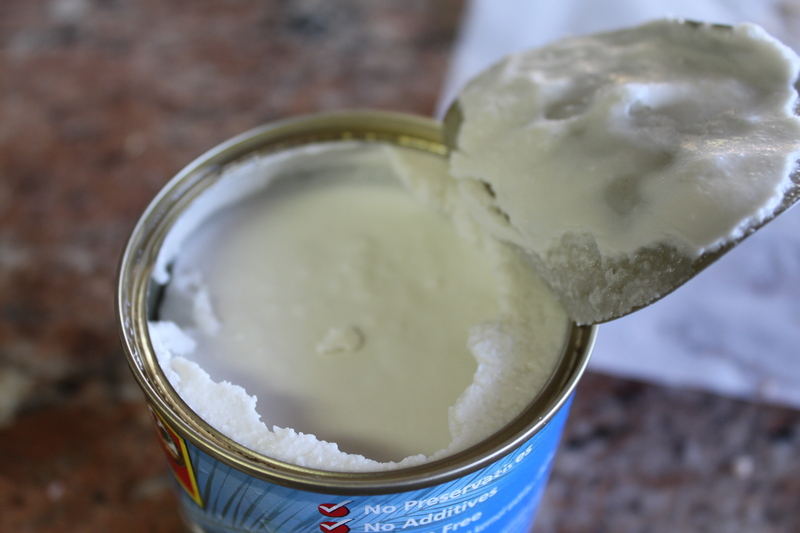 When you open the can you will see the hardened coconut cream at the top. Scoop out the cream but not the liquid as it’s not necessary for this recipe. 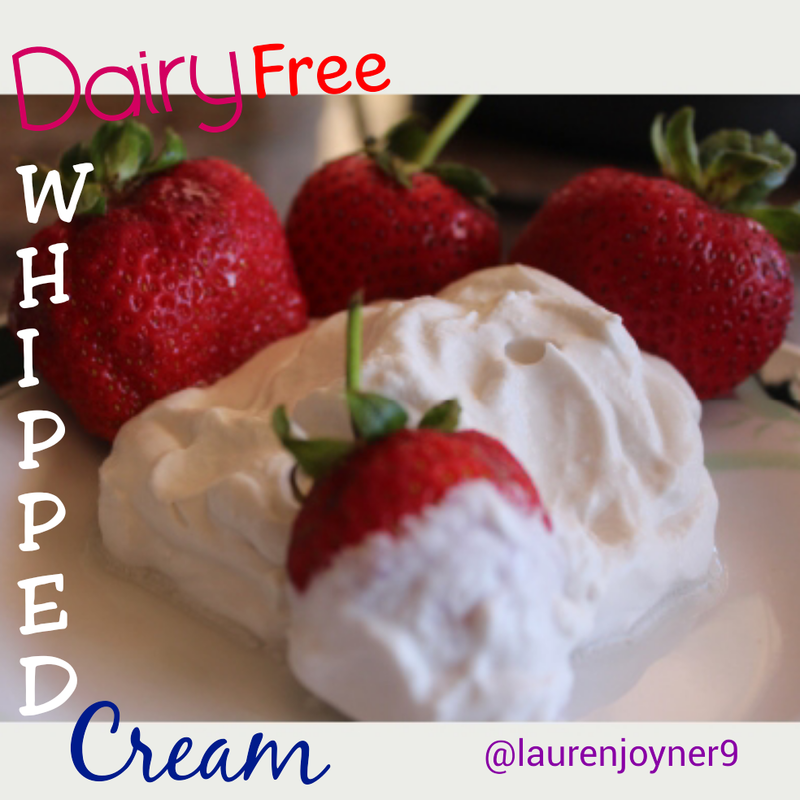 Whip the cream by using a hand mixer or a processor with a whipping attachment, add sweetener if you like.